A local independent web design company helping large and small businesses across Lancashire with their website needs. We are happy to discuss your needs and requirements and provide a no obligation quote. We’ll have a chat about what you need from your website. We’ll give advice and recommendations throughout the process. Sit back whilst we create your website ready for you to review. Done. You’ll have your website ready for your customers to visit with onsite SEO included. We’ll monitor your website performance and any time you want help we’ll be here. We can setup new email accounts or provide a forwarding address. Either way, customers will be able to contact you via an email address which is linked with your domain name. 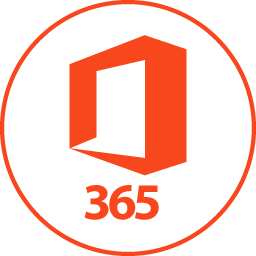 If you’re looking at using the features Office 365 offers, then we can set you up. We can run Adword campaigns to get you noticed on search engines ahead of your competitors. We will add google analytic tracking on your site so we can provide you insight on visitor statistics. 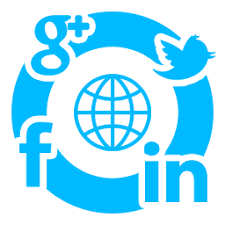 Whether its helping you setup the various social media accounts or helping you utilise the power of social media we can discuss all options with you. Once your new website is live, we will always be here to help and answer questions to ensure you get the most from your online presence. "My personal experience of dealing with Swodge and in particular Simon has been exemplary. Simon has designed two sites for me and I couldn't be happier. His vision, ideas and after sales support has been second to none and I have had no hesitation in wholeheartedly recommending Swodge to other business owners." "After being initially unsure on which website developer to go with we are delighted that we chose Swodge. Simon provided regular updates and meetings through the development stage and was more than accommodating and flexible as we continued to change our mind throughout this stage. His ongoing service and support is excellent and is imperative as we continue to grow make ongoing changes. I would highly recommend Swodge and Simon to anyone who requires a professional, high quality website." "Swodge have helped us build a brand new website – not only does it look great, but they were able to use their expertise to make it work efficiently too creating a positive user experience for our clients. The project was managed professional and efficiently throughout with great communication, project management skills and application of expertise to help reassure us we made a great choice of partner at every stage!"